Civil engineering department has established in the year of 2009 offering Under Graduate course in Civil Engineering with an intake of 60 students. At present, the strength of the department is more than 160 students. The department has well qualified, well experienced and dedicated faculty members and lab technicians. The Department has state-of-art laboratories and modern infrastructure. The academic activities of the Department emphasizes deep understanding of fundamental principles, development of creative ability to handle the challenges of Civil Engineering, and the analytical ability to solve problems which are interdisciplinary in nature. The Department also encourages its students to engage in extra-curricular and co-curricular activities, essential for development, nurturing of team spirit, and developing organizational skills. The faculty members of the department are involved in high quality research and consultancy activities, and they continue to enjoy academic leadership role in the country. Civil engineering is the broadest of the engineering fields. Civil engineering focuses on the infrastructure of the world which include Water Works, Sewers, Dams, Power Plants, Transmission Towers/ Lines, Railroads, Highways, Bridges, Tunnels, Irrigation Canals, River Navigation, Shipping Canals, Traffic Control, Mass Transit, Airport Runways, Terminals, Industrial Plant Buildings, Skycrapers, etc. Among the important subdivision of the field are construction engineering, irrigation engineering, transportation engineering, soils and foundation engineering, geodetic engineering , hydraulic engineering, and coastal and ocean engineering. The purpose of conducting this lab, the student will posses knowledge about survey field techniques, also they would have acquired practical knowledge on handling basic survey instruments including leveling and development of contour map of given area. 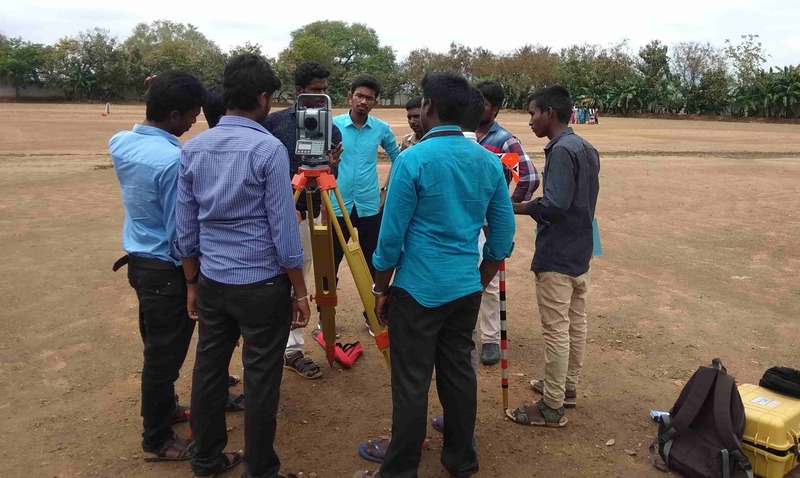 The students have adequate knowledge to carry out triangulation and astronomical surveying including general field marking for various engineering projects and curves setting. The aim of this lab is to expose the students to able to draft on computer building drawings (Plan, elevation and sectional views) in accordance with development and control rules satisfying orientation and functional requirements. The main objective of this lab is at the end of the course the student acquires hands on experience in design and preparation of structural drawings for concrete / steel structures normally encountered in Civil Engineering practice. The main objective of this lab is to learn the principles and procedures of testing concrete & highway material and get hand on experience by conducting the test and evolving inferences. Students know the techniques to determine index properties and engineering properties such as shear strength, compressibility and permeability by conducting appropriate tests. The main aim of this lab is to give an exposure to the students in the aspects of identification of various characteristics of drinking water and municipal sewage. The main objective of this lab is to give practical knowledge to students in the field of environmental engineering. Students will be studied the water and sewage characters like pH and turbidity, hardness, iron and fluoride content of drinking water, required chlorine dosage for drinking water, nitrogen and sulphate level in sewage, different types of solids in sewage water and chemical and biological oxygen demand in municipal sewage water. This lab will give good knowledge about sampling techniques, different physical, chemical and biological analysis in drinking water and municipal sewage. 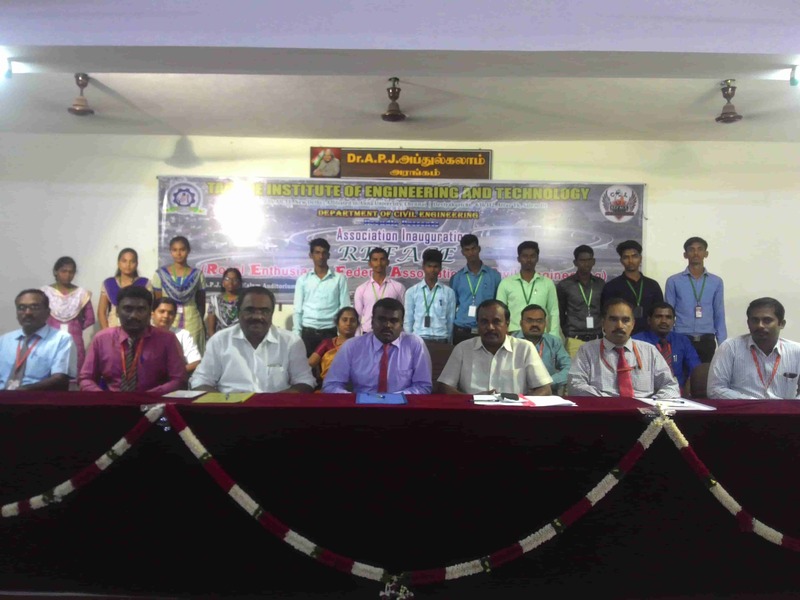 The Department of Civil Engineering of Tagore Institute of Engineering and Technology, Deviyarkurichi, near Attur conducted "LIVICANS-12, a National Level Technical Symposium on 29.02.2012. 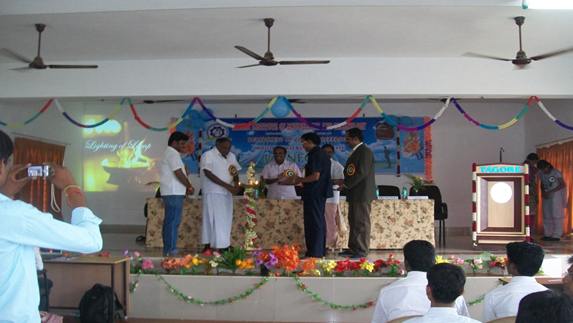 Dr. P. Perumal, H.O.D, GCE, Salem, who was the chief guest. 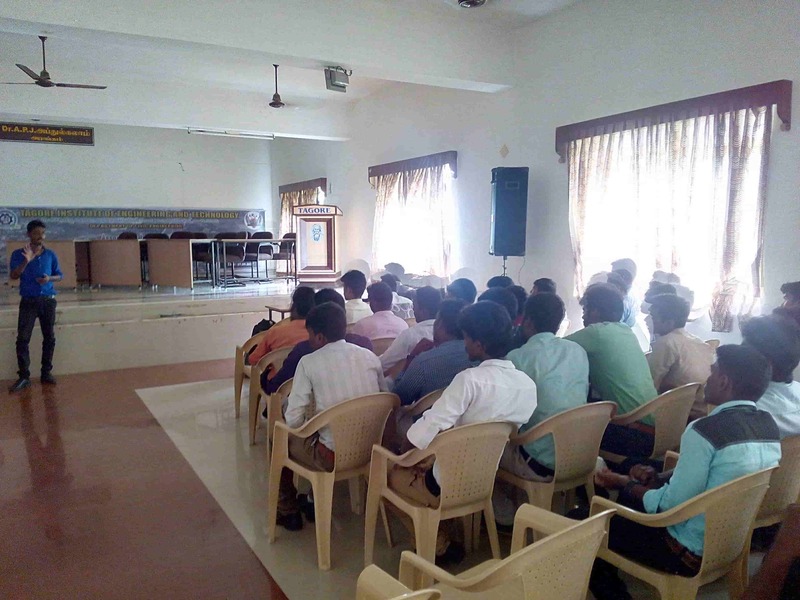 He shared his ideas about future oriented development in civil engineering and various exams for higher studies and he motivated the students. E.D Viswanath CRE-A Engineer, Salem, who was the guest of honour. He explained design of steel structures in detail. Then we conducted several events like, paper presentation, poster presentation, Technical quiz, code cracking, computer surveyor, Modeling, CADD modeling. More than 50 students from various colleges participated and presented 25 papers. 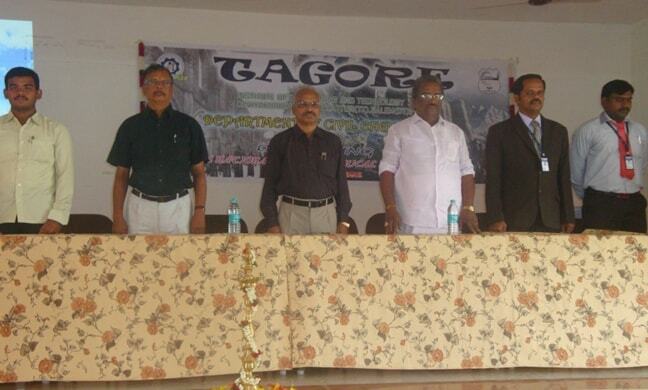 Department of Civil Engineering was conducting Association Inaugural Function on 17.08.2013. The Chief Guest was Dr.Sankaran Rajendran, Assistant Professor, Department of Earth Sciences, College of Science, and Sultan Qaboos University. Department of Civil Engineering was conducting Association Inaugural Function (REFACE)on 17.09.2016. Dr.T.Palamismy M.E., Ph.D., COE & Professor, Department of Civil Engineering, K.S.R.College of Engineering inaugurated the Association and Symposium and delivered the fabulous speech about Recent Trends in Civil Engineering in India and other countries. The Department of Civil Engineering conducted Workshop on “Application of STADD Pro Analysis in Construction Project” on 4th Feb 2017. The Resource person Mr.R.Naveen Raj, Structural Designer, MP Architectss, Coimbatore delivered seminar in this topic. The faculty members, Lab Technicians and Students of Final Year were attended this event from 11.00 a.m to 12.30 p.m. The Department of Civil Engineering conducted Workshop on “Software Demonstration on Revit Architecture & Navis Work” on 15th Feb 2017. 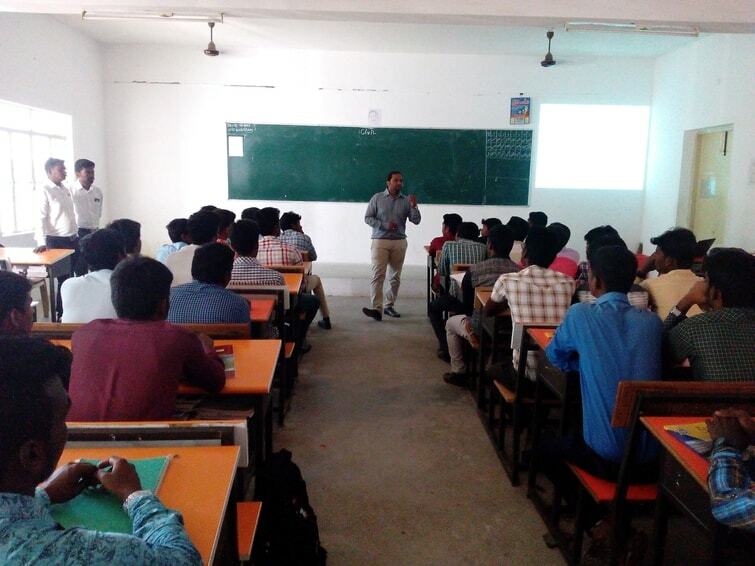 The Resource person Mr.D.Boopathi, Techno-commercial, CADD Centre, Salem delivered seminar in this topic. The faculty members, Lab Technicians and Students of II & III Year were attended this event from 10.00 a.m to 12.30 p.m. The Department of Civil Engineering conducted Workshop on “Construction Management & Digital Land Survey” on 24th August 2017. The Resource person Mr.V.Sriraman, Executive Director, Prayojana Construction Management Training Institute, Salem delivered a presentation in this topic. The HOD, Faculty Members, Lab Technicians and Students were attended this event. The Department of Civil Engineering conducted Association Inaugural Function (REFACE) dated on 27th September 2017. Mr. M. Karthikeyan HOD, Dept. of Civil Engineering delivered the Welcome Address. The Principal Dr .S. 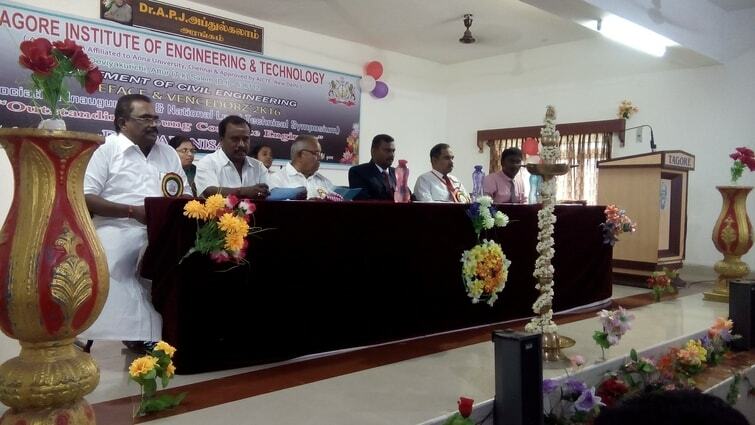 Senthilkumar M.Tech.,Ph.D., felicitated the function and gave Valuable speech to the students about advancement in technologies that were developed in Construction Industry and its future scope of wide Opportunities. Honouarble Chief Guest Mr.M.Manigandan M.E., AMIE., Structural Engineer & Consultant, Yuva Jothi Structures, Hosur, Inaugurated the Association and delivered the fabulous speech about Recent Trends and Development in Construction Industry. The President Thiru. R.Lakshmi Narayanan, Vice President Thiru. R.Chinnusamy, Secretary Thiru. K.Arunkumar, Joint Secretary Thiru. R. Muthusamy, Treasurer Thiru. P.Kaliyannan, Educational Committee Members Thiru. .R.Paramasivam & Kootroad Thiru.N.R.Palanivel were presided over the function. The Office Bearer Ms. T. Gowsalya delivers the vote of thanks. Finally the Association Inauguration comes to an end with National Anthem. The Department of Civil Engineering conducted Workshop on “Demonstration of Primevera Software” on 27th September 2017. 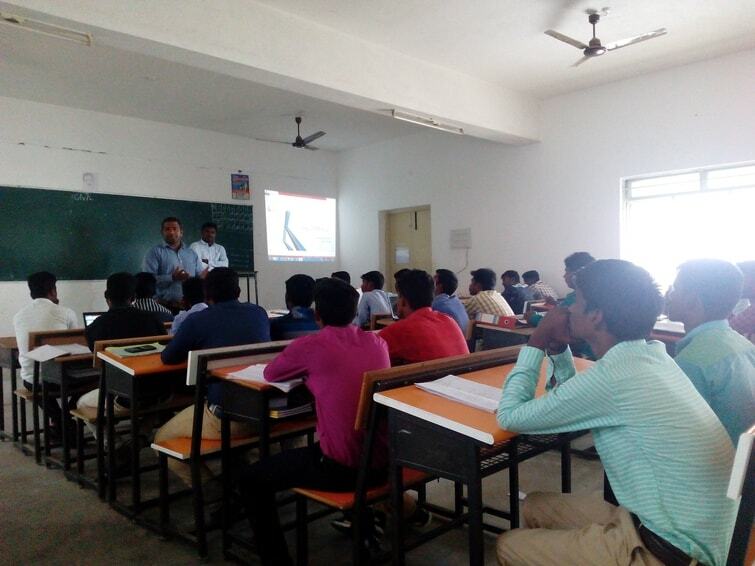 The Resource person Mr.M.Manikandan & Mr.Jeba Selvan, Business Executive & Technical Trainer, United CADD Solution Pvt Ltd, Salem delivered a demonstration in this topic. The HOD, Faculty members, Lab Technicians and Students were attended this event. We had conducted a National Level Workshop on Modern Computerized Survey Using Total Station in association with Presto Land Survey Institute, Salem dated on 17th March 2018. First of all, the function started with prayer song. After that the honorable chief guest, Management members of Tagore Educational Institutions, Principal and various Department HOD’S lighted the lamp. Mr.M.Karthikeyan HOD, Dept. of Civil Engineering delivered the Welcome Address. The President Thiru. R.Lakshmi Narayanan, Vice President Thiru. R.Chinnusamy, Secretary Thiru. K.Arunkumar, Joint Secretary Thiru. R.Muthusamy, Treasurer Thiru. P. Kaliyannan, Educational Committee Members Thiru. R. Paramasivam & Kootroad Thiru. N. R. Palanivel were presided over the function. They spoke about the advancement in Construction Industry and a brief Scenario about Technology Development in Civil Engineering field especially in Land Surveying Work. 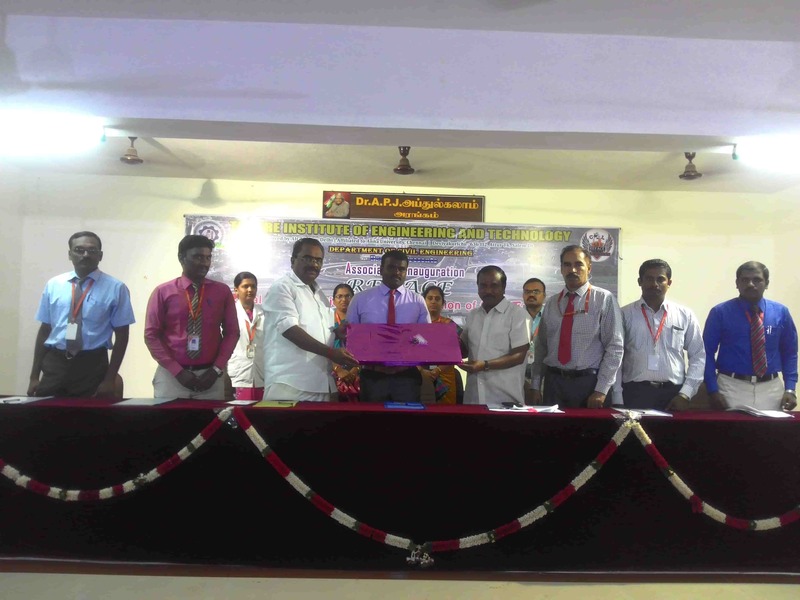 The Principal Dr.S.Senthilkumar M.Tech., Ph.D., felicitated the function and gave a valuable speech to students and discussed about Modern methods that were adopted in Surveying work. Our Association office Bearrer Ms.V.Vaishnavi gave an introduction about the Chief Guest. The Management members honored the Chief Guest with a shawl and presented the Memento. The Honorable Chief Guest Er.G.Mohanavizhiyan., Educational Director, Presto Land Survey Institute, Salem inaugurated the Workshop and delivered a motivational speech about the Recent Development in Technology of Computerized Survey using Total Station Instrument and its wide Job Opportunities at present in the construction field. The Chief Guest Er.G.Mohanavizhiyan and his team gave a presentation about the “Handling Methodology of Total Station”. Next we had conducted a practical session in the field. The Faculty Menbers and Students from our Department correlated with 50 Participants from various colleges were attended this workshop. Finally Mr. M. Venkatesh, AP/Civil, delivers the vote of thanks and the function ends with National Anthem. S.Viveganandan, C. Lakshumanan and M. Sundararajan. "Depositional environment of sediments along the Cuddalore coast of Tamilnadu, India" Indian Journal of Geo-Marine sciences, Vol 42(3), pp 375-382. Selvabharathi, G., Viveganandan, S., Adish Kumar, S., Thirunavukkarasu, A. "Treatment of cmbined waste water by Activated Sludge Process", 3rd International Science Congress (ISC-2013) during 8-9th December at Karunya University, Coimbatore. We have invested Rs.54 lakhs for Laboratory Equipments in the Department of Civil Engineering. Department of Civil inaugurated their Dept. Association on 17th September 2016 and conducted a One Day National Level Technical Symposium on the same day. Department has conducted Workshop on STADD Pro Software Applications in Construction project and Demonstration on Revit Architecture & Navis work on 4th & 15th Feb 2017. Our Staff Member S.Revathi produced 100% result in Engineering Graphics subject in the ODD semester of Academic year 2016-17. Through our Campus Interview, the Students from Final year, Boobalan & Naveen got placed in Esteem Tech Company, Chennai & Gnanasekaran got placed in Hexaware Pvt. Ltd. Chennai. Our Final year Students Balachandar & Mayakrishnan has won the 1st place in CADD Modeling & Treasure Hunt Event at SNS College of Engg. Coimbatore. Our Final year Student Vignesh has won the 2nd place in Technical Quiz at SNS College of Engg. Coimbatore. Our Third year Students Kasinathan & Gopishankar has won the 2nd place in Hide and See Event at M.P.N.M.J Engg. College, Erode. Our Final & Third year Student Jayavel & Kasinathan has won the 2nd place in Technical Quiz at M.P.N.M.J Engg. College, Erode. Our Dept. of Civil has arranged Industrial Visit to Aaliyar Dam at Pollachi & Shipyard visit at Cochin. 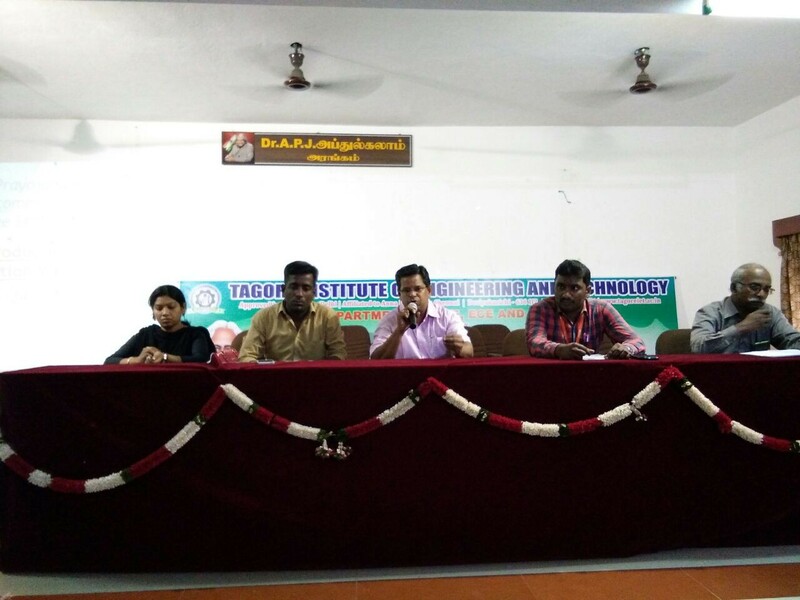 During this Academic year, around 42 Students have presented paper on various topics and attended workshop in various colleges like Anna University Chennai, GCT Coimbatore and GCE Salem.